But due to lack of a team I failed to get it done. none of us will be leader or main-person..
everyone will the the hack-team. Every decision with the hack will be done taking everyone's suggestion and with the majority decisions. while some are to be used from my previous idea below in the spoiler. now I just need the team to work on it. filling the form is imortant to get to the team. Here is the old idea. 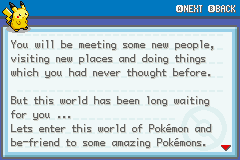 I am new to rom hacking but preety old to Pokemon. 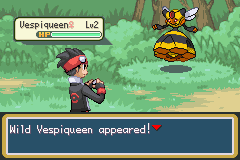 I am working on a Fire red rom for a brand new hack of mine. A man from LAPEN region saw an evil organizations. There were wearing strange dresses and were reffering to someone as their BOSS. but due to a head on battle he couldn't stand a chance against the Leader of the organization. 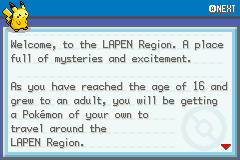 since then the then LAPEN Champion hasnt been seen anywhere. Inspired from your elders you are setting your journey on the LAPEN Region. In your journey you come to know the event that had happened the year you were born. You meet the bad organization that was started then and now are famous as the name of Team ELEMENT. You while continuing on your journey to be the ultimate best also try to bring an end to the bad guys. 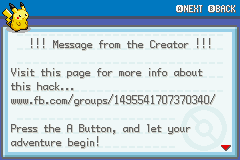 More info about this hack really soon. Sweet game man the title screen looks amazing. I will be waiting for this hack. I updtaed the main thread with a new idea.